Jackie and her family ate their way around Asia, sampling streetfood and jotting menu ideas on the back of napkins. 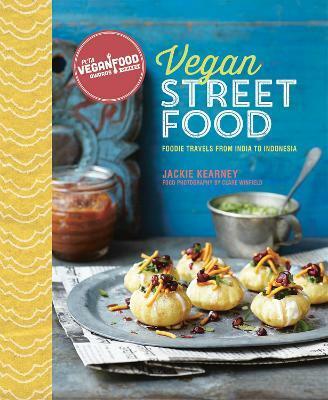 Inspired by the food cultures she embraced on her travels, Jackie has brought new life to healthy, meat- and dairy-free food, inspired by the sheer quantity of vegan food on offer in Asia. Dotted with personal anecdotes from her travels, family photos and fascinating local information, Jackie takes us from India to Indonesia on a journey of tastes and textures, via Sri Lanka, Thailand, Vietnam, Laos and Malaysia. Recipes includes classic dishes that we might be already familiar with, such as Simple Sri Lankan Dal or Cauliflower and Kale Pakora, as well as regional specialities such as Oothapam (vegetable crumpets from South India) or Tahu Campur (Javanese fried tofu with cassava cakes). Street food is a central part of life in Asia. It brings families and communities together from breakfast to dinner, through all the scrumptious snacks along the way. With this book, you can bring this inspirational approach to feeding your family into your own kitchen, whipping up flavourful and wholesome bites.Celebrate vegan food in all its glory, without compromising on flavour or protein, or trying to makes substitutions for meat or fish. That is the beauty of this collection of Asian streetfood - it is simply delicious, and it just so happens to be vegan.